and the German division of the Australasian Universities Language and Literature Association. 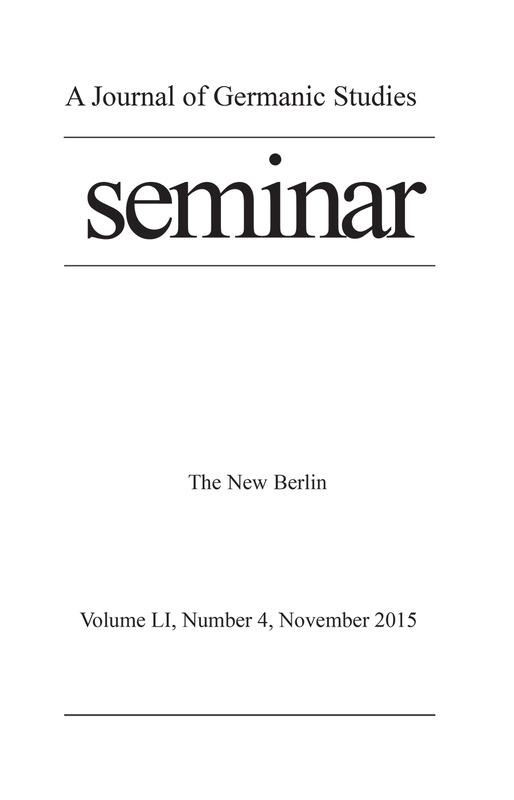 Seminar is one of the leading journals for the study of Germanic literature, media, and culture. It seeks to publish the highest-quality scholarship on a range of fields including philology, philosophy, aesthetics, media studies, visual culture, gender studies, and transnationalism in so far as they relate to German-language material or other languages in a German-cultural context. It endeavors to promote German studies across a broad international context. Submissions are welcome in English, French or German. Membership includes the delivery of Seminar four times a year. If you would like to have online access to Seminar, please follow the instructions here, and send proof of your membership along when contacting customer service for activation of your subscription. Please contact Raynika Awotwi, Circulation and Marketing Assistant, Journals, at rawotwi@utpress.utoronto.ca if you are in need of further assistance.